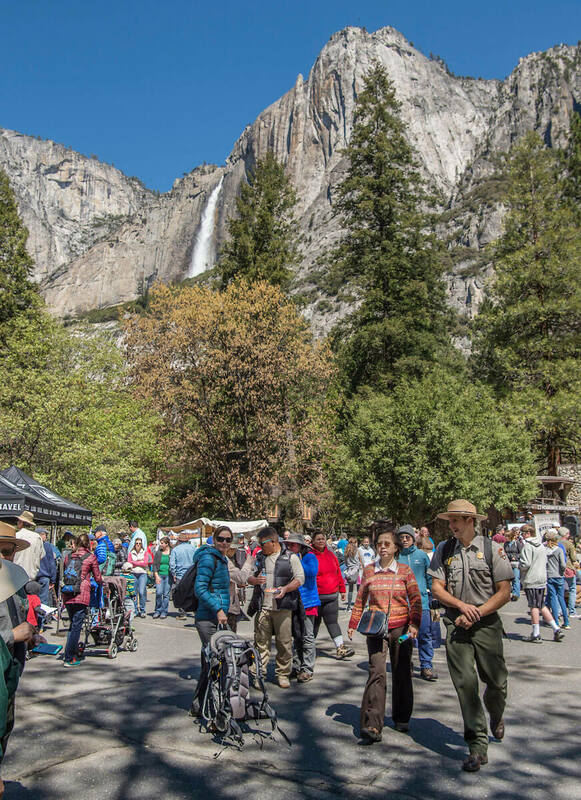 Yosemite National Park will be celebrating Earth Day, National Junior Ranger Day, National Park Week, and John Muir’s Birthday on Saturday, April 20, 2019. Join us at the Yosemite Valley Visitor Center in Yosemite Village from 10:00 am to 2:00 pm. There will be music, games, and interactive booths. Meet with park rangers and park partners and learn how we are working to preserve and protect natural and cultural resources in Yosemite National Park. · Learn about how you can reduce waste at the Sustainability booth. Bring an empty single-use camp propane canister and trade it in for a refillable propane canister. · Junior Rangers of all ages are welcome to explore the park on a special Ranger-guided walk at 10:30 am and 1:00 pm. · Join a Park Ecologist and learn about Meadow Restoration on a walk around Ahwahnee Meadow at 10:45 am. · Connect with a Park Ranger and learn about bears and other wildlife that call Yosemite home. · Express your love of Yosemite through a special art project brought to you by Yosemite Conservancy.